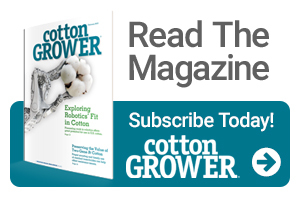 On the morning of February 9, 2018, the U.S. Congress passed budget legislation that included the designation of seed cotton as a covered commodity under the 2014 farm bill. The President has signed this legislation and it has become law. This document highlights the critical components about the new cotton program and treatment of Generic Base. “Seed cotton” will be eligible for PLC beginning with the 2018 crop. “Seed cotton” is unginned upland cotton that includes both lint and seed. Effective with the 2018 crop, there will no longer be generic base on a farm. Generic base is former cotton base on a farm under the 2008 farm bill. There will no longer be temporary base earned and eligible for ARC/PLC for acres planted to covered commodities (peanuts, corn, soybeans, wheat, etc). Landowners will have options on how to convert generic base to seed cotton base or to base of seed cotton and other covered commodities (peanuts, corn, soybeans, wheat, etc) based on planting history of 2009-2012. (b) 100% of the generic base converted proportionately to seed cotton base and bases of other covered commodities based on 2009-2012 planting history. Landowners will have 90 days to make the decision on generic base conversion. Failure to allocate will default into option (a) above. If a farm has generic base but no cotton or covered commodity has been planted for 2009-2016, the generic base will become unassigned and ineligible for ARC/PLC. The seed cotton PLC payment yield will be 2.4 times the CCP (Countercyclical payment) yield for upland cotton established in the 2008 farm bill. Landowners will have the option to keep this yield or update the yield to 90% of the average yield for 2008-2012. The PLC Reference Price is 36.7 cents per lb. This is a weighted average price for lint and seed. Payment is received if the weighted average marketing year average (MYA) price for seed cotton is less than 36.7 cents. Beginning with the 2019 crop year, a farm enrolled in coverage for seed cotton is not eligible for STAX. Payment limits are staying the same as defined under the 2014 farm bill. More information, including a decision aid, will be available at the University of Georgia Agricultural and Applied Economics webpage. Adam Rabinowitz is Assistant Professor and Extension Economist, Department of Agricultural and Applied Economics, University of Georgia See all author stories here.